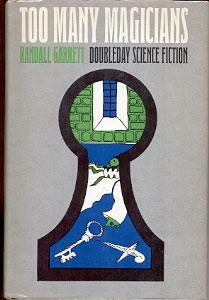 This entry was posted in Brand, Detective fiction, Locked-room mystery, Mystery, Novel, Science fiction, Short story and tagged Agatha Christie, Archie Goodwin, Carter Dickson, E. E. (Doc) Smith, Gandalf, James Bond, James Randi, Michael Kurland, Napoleon Solo, Nero Wolfe, Randall Garrett. Well, you’ve sold me. Frustratingly I’m sure I’ve ignored this book several times. 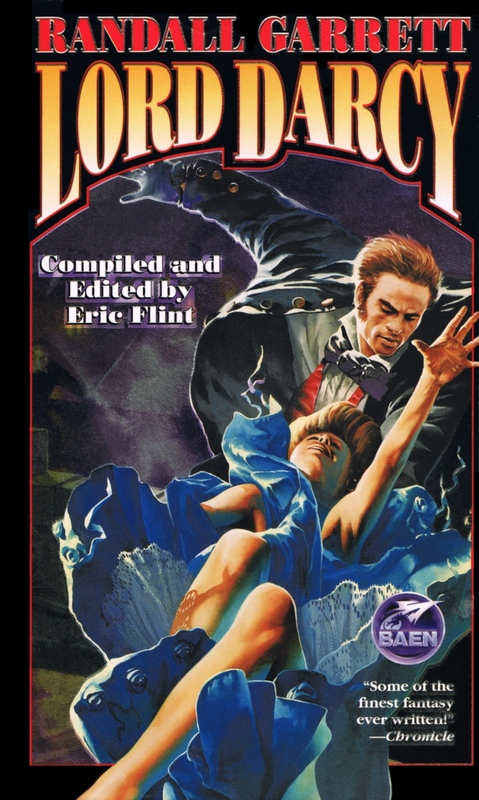 I see the compendium volume from Baen, “Lord Darcy”, crop up in used bookstores, charity shops, etc., all the time … I’m sure you’ll find a bargain. It’s a great big brick of a trade paperback. I’m not a fan of this novel. I think Lord Darcy is better in the stories Garrett wrote. This just doesn’t work for me. 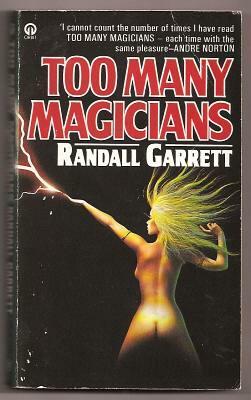 I left some strong opinions about TOO MANY MAGICIANS on some blog somewhere a couple of years ago. I won’t bother duplicating them here because you make a strong case for true mystery fans to read the book and get to know Lord Darcy. I completely missed all the wordplay and allusions. Some of that (Uncle from Man) is just brilliant! 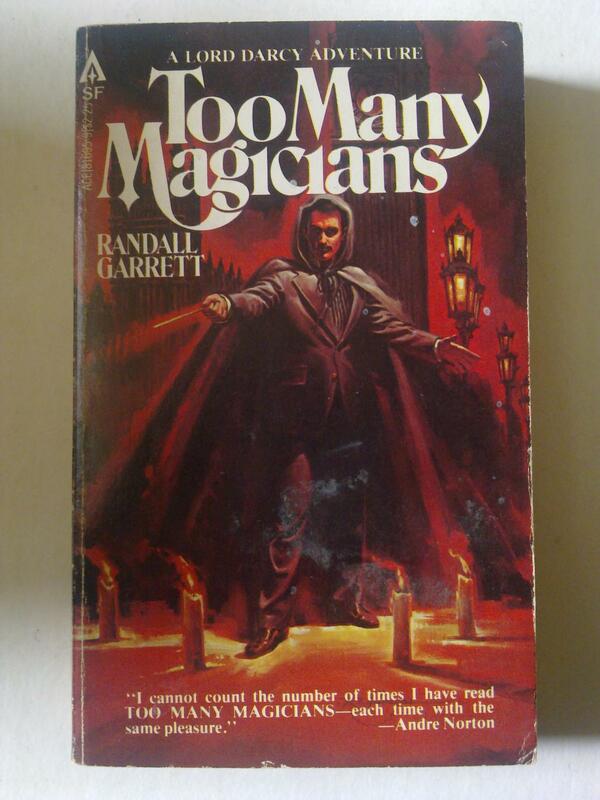 But I was sorely disappointed by the locked room mystery in TOO MANY MAGICIANS. 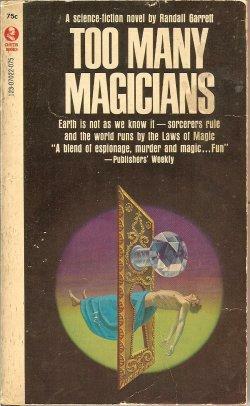 I think the ending is a cop-out considering the book is all about magicians and spies. I do recommend reading the other stories — really novellas — for they show what Garrett could do when he wasn’t distracted by all the spy shenanigans and subplots on display in this novel. You know, I think you have a very good point. A novel like this has an A plot (the sorcerer’s murder) and a B plot (the spy story) and weaves them together, PLUS it has to have the overlay of the rules of magic and the alternate society, history, etc. That’s a large burden. I definitely see your point that it works better in short-story form, where there’s a single plot line and then the overlay of the magic. Not as much going on.